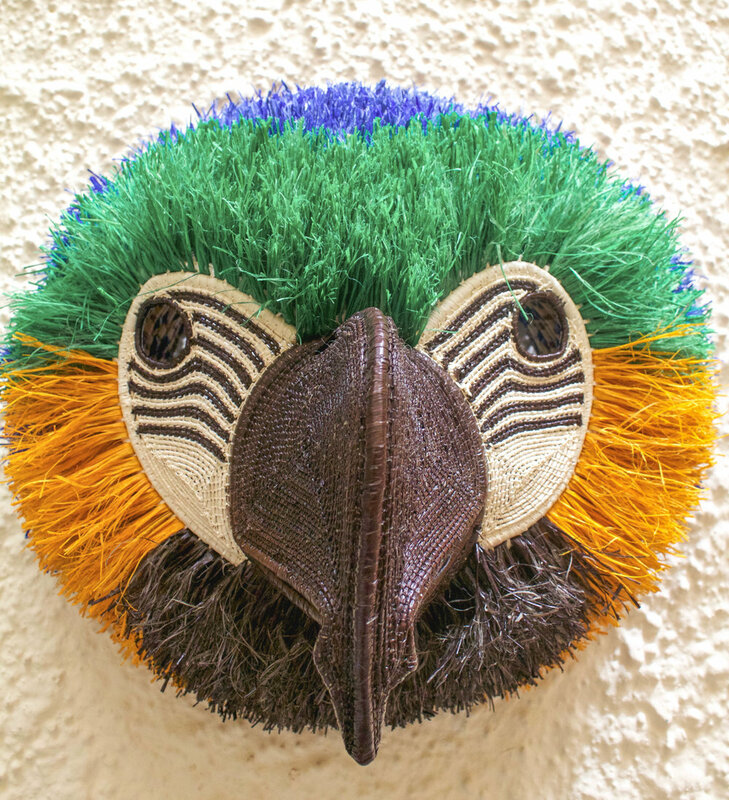 The beautiful masks and baskets are made by Wounaan and Embera Indigenous rainforest in Darien Province in the Republic of Panama, especially women are known for their tissues baskets and men for their carvings and Wood Tagua . The baskets are woven by hand , using natural fibers from the rainforest. A variety of herbal extracts for dyeing fibers. The baskets, which were initially made as a thing of utility, are now noted among the best craftworks of this area with a great demanded across the globe. Nowadays, many villages of this rainforest opted for Panama basket making as their profession. Generally Panama baskets are classified into two broad categories, the Wounaan baskets and the Embera baskets. Yet, these are again sub-divided based on their stitches, colors, designs and size. The designs are original and represent scenes of everyday life of the people, animals, insects and plants of the area. Rarely, if ever, you will find two identical baskets. Both the Wounaan baskets as well as the Embera baskets are available in traditional colors and modern colors. Both types of baskets are available in diameter size starting from 9.5 inches to a diameter size of up to 18 inches. Yet, some baskets may have bigger circumference, too. Apart from these, one can also go for the five plate baskets, which are available in Wounaan style as well as Embera style. Five plate baskets are also available in diameter size of less than eight inches.